﻿ How to Choose a Bamboo Fly Fishing Rod? How to Choose a Bamboo Fly Fishing Rod? 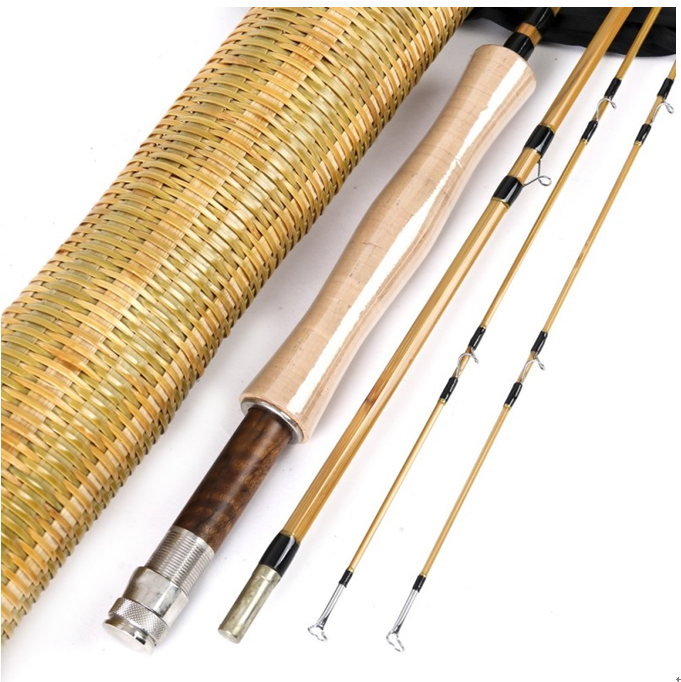 A bamboo rod is like the luxury range product of fly fishing, it is not necessary to fish with a bamboo rod, but it stays exceptional, beautiful, often handmade with a natural and noble material. According to its legend a bamboo rod is a perfect alliance between beauty, tradition and history. When you want to buy a bamboo rod, what you expect is to find tradition, a rod made like those ones owned by your ancestors before, something strong, resistant, shaped with precision and made with all the passion of its producer. That’s why you should always buy an handmade one, you sure that companies who propose handmade bamboo rod want to do it with perfection, with their love for fly fishing, to provide you their best. Buy an handmade bamboo rod is a little bit like buying a fly fishing soul. You have to know what you want, a masterpiece to fish around, something that you’re proud to fish with, even to show it to your friends, share pictures etc... A rod which is beautiful for its image and of course its quality, in this case you have to spend more money. It’s also possible to find some bamboo rod more adapted for small wallet without a whole fantasy around it, and also very useful and beautiful. Everything depends of the price range you target. Collect information about the different models to choose one adapted to your needs. There is many different models of Bamboo rod,you have to ask about the length you want, which actions, even about the design. Which kind of fish you will target ? Where you’ll cast with ? You have to ask all those questions before. A bamboo rod is an investment which needs to be calculate, to select the right product for you, with all its characteristics adapted for you. Next: Which Vest Can Substitute Orvis Fly Fishing Vest?